The de Havilland DH.100 Vampire was a British jet-engine fighter commissioned by the Royal Air Force during the Second World War. 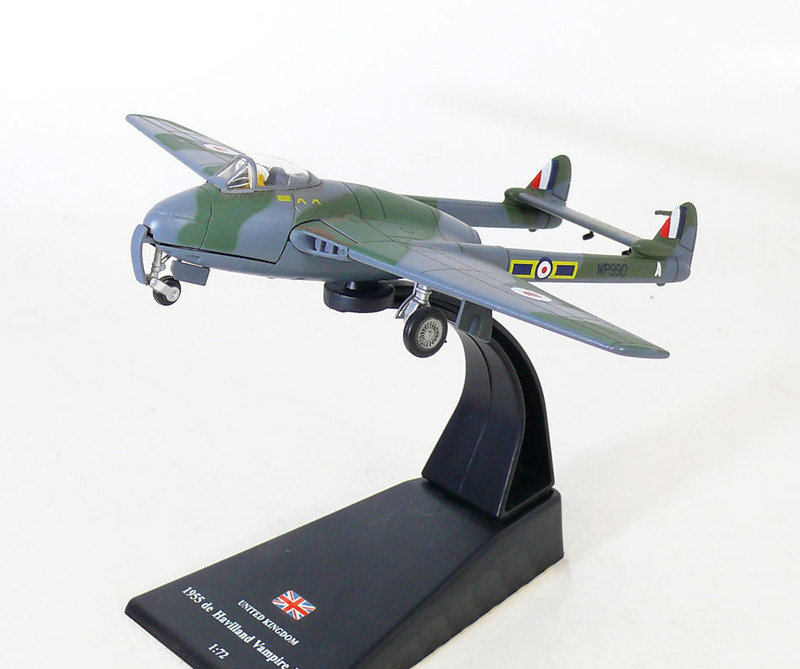 Following the Gloster Meteor, it was the second jet fighter to enter service with the RAF. 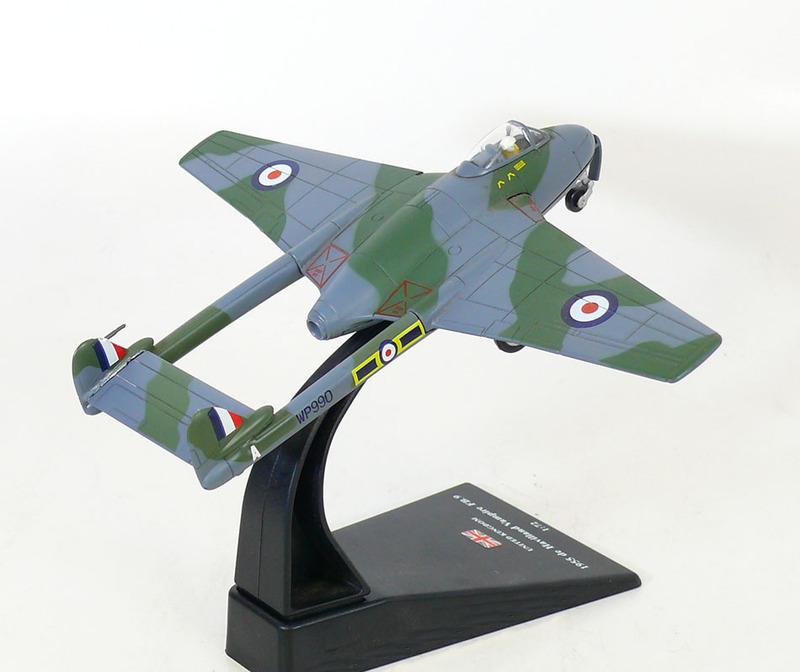 Although it arrived too late to see combat during the war, the Vampire served with front line RAF squadrons until 1955 and continued in use as a trainer until 1966. The Vampire also served with many air forces worldwide, setting aviation firsts and records.